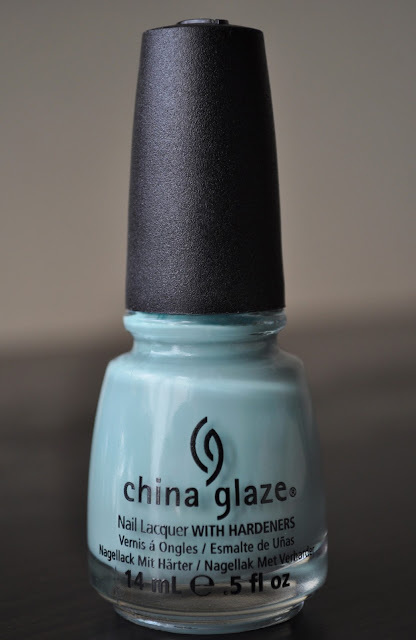 So Lonely in Gorgeous: I Know A Polish That's Tough But Sweet...China Glaze's Kinetic Candy! I Know A Polish That's Tough But Sweet...China Glaze's Kinetic Candy! Question: are you experiencing the same sporadic weather? It's been cold, gray, and rainy for the past few days, and the only thing reminding me it's Spring are my manicures. Kinetic Candy is a pale, grayed, robin's egg blue creme that I adore. I really love the dusty undertone in this polish, and I find it quite soothing to look at, especially on overcast days. What polishes do you like to wear on cloudy days?